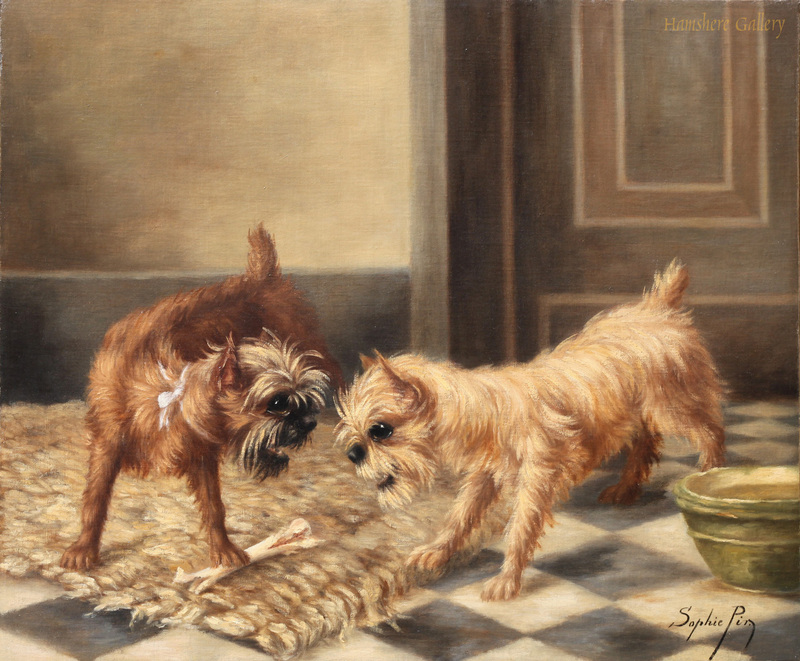 Oil on canvas of a Griffon Bruxellois dogs wrestling with a bone by Mme Sophie von Pir (Belgium 1858-1936). 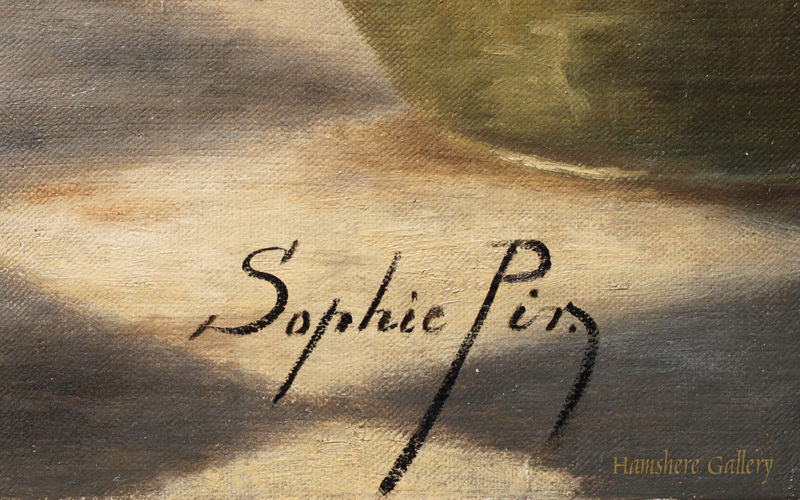 Signed bottom right �Sophie Pir�. Belgium, circa 1900. The Griffon Bruxellois was especially favoured by the artist who painted them frequently. In fact many of her Griffon Bruxellois paintings were specifically chosen for Henri van Bylandt�s definitive canine book �Dogs of all Nations�. She also painted the Bylandt�s own Griffon Bruxellois dogs.